An ice cream shop is a bustling thoroughfare of customer activity during the hot months of summer. When pool parties, backyard barbecues, and family vacations are on the agenda, cooling off with delicious ice cream is on the forefront of everyone's mind. When the days grow shorter and the weather turns colder, however, customers start looking elsewhere for indulgent treats. So, what are the options for an ice cream shop during the winter? The obvious solution to a reduction in customers during the winter months is to temporarily close your business or reduce the hours during which you are open. Trying to operate an ice cream parlor at full-strength when there are fewer customers can put a drain on your profits. By limiting hours and cutting back on employment, you can wait out the winter and return to full staff in the summer. Another way to reduce the decline of customers during the winter months at your ice cream shop is to offer seasonal dessert items to accompany your ice cream treats. For example, an assortment of hot pies such as pecan pie, apple pie, and pumpkin pie may be a great option. Customers already associate these pies with a heaping side of ice cream, so you can easily make the adjustment and appeal to customers who are looking for something a little more festive than traditional ice cream. One way to get customers in the door of your ice cream shop during the winter months is to advertise an assortment of hot and indulgent beverages that are especially appealing when the weather turns colder. You can even offer hot soups that are easy to make and serve from a soup kettle, with a minimum outlay of investment. If customers recognize your establishment as one that offers more than just ice cold summer treats, you'll be able to keep a regular flow of customers throughout the year. 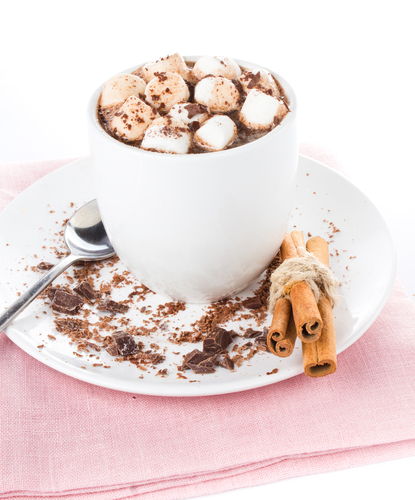 Popular wintry beverages include hot chocolate, caramel hot chocolate, apple cider, and an assortment of coffee beverages. Popular winter soups include pumpkin soup, barley mushroom soup, split-pea soup, red lentil soup and the list goes on. You can choose to replace your entire menu with a hot beverage and soup menu during the winter or simply reduce the variety of ice cream flavors you offer during the winter months. There will still be customers who crave a sweet, ice cream concoction when the weather turns cold. If they are able to couple that concoction with a hot soup or beverage, such as a mocha or a latte, they may be more inclined to purchase ice cream from your store. The winter months are often dreaded by individuals who own ice cream shops. Many shop owners simply hope to make enough of a profit during the warm weather months to compensate for the unavoidable slump in business during the winter. Other ice cream shop owners try to remarket their establishment with a number of seasonally appropriate menu items. If this will be your first winter owning an ice cream shop, it's a good idea to plan for a drop in customers. You can then try various measures to increase customer attendance and see what works for you.